There is nothing better than a delicious muffin to go along side a cup of joe or a Berry Green Smoothie, if your a smoothie person, like me. And, I don’t know if it’s been super cold where you live this past week but here in Wisconsin it’s been a HIGH temperature of -1 with a wind chill of -35 degrees…isn’t that CRAZY!? ✔ I love using buttermilk in this muffin recipe because it makes these muffins super soft and tender, just how everyone loves them. But if you don’t have buttermilk in your fridge, no worries. You can simply make your own homemade buttermilk with only two simple ingredients. All you will need is cow’s milk and lemon juice. I have posted a step-by-step guide on how to make homemade buttermilk here, it’s super simple! ✔ After you mix up the muffin batter and your ready to add the blueberries, be VERY careful not to mix them too much or you will end up with BLUE muffins because the blueberries bleed. So, what I like to do, is use a spatula and GENTLY fold the blueberries into the muffin mix. ✔ Before baking the muffins, I like to gently press about 2-3 blueberries into the top of each muffin and sprinkle them with more cinnamon and coarse sugar. This gives these muffins a bakery-style look, which makes them extra pretty! PRE-STEP: Preheat oven to 350F degrees. Lightly spray 12 muffin cups with non-stick cooking spray or line with muffin liners. STEP 1: In a medium bowl, whisk together flour, baking soda, baking powder, ground cinnamon and salt. Set aside. STEP 5: Gently, fold in blueberries. STEP 6: In a small bowl, mix together melted butter, sugar, and cinnamon until mixture becomes crumbly. Set aside. STEP 7: Spoon batter into prepared muffin tins, filling them about 2/3 the way full. Sprinkle each muffin with the crumb mixture. 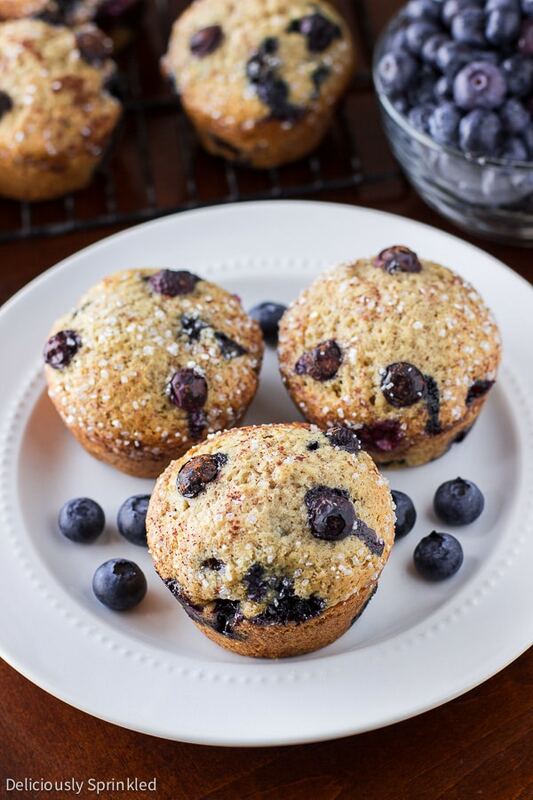 Using the 1/4 cup of the blueberries you have leftover, press a few of them into the tops of each muffin. STEP 6: Bake for 15-20 minutes or until a toothpick inserted in the center comes out clean. Let muffins cool for 5-10 minutes before enjoying! 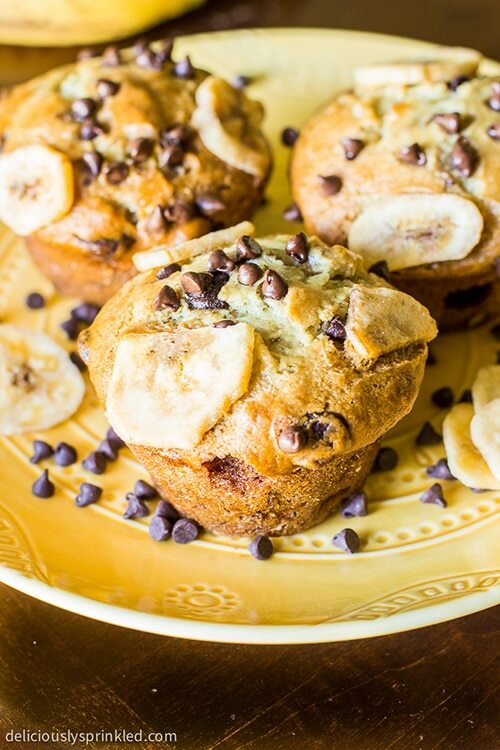 Try these delicious Chocolate Chip Banana Muffins next! 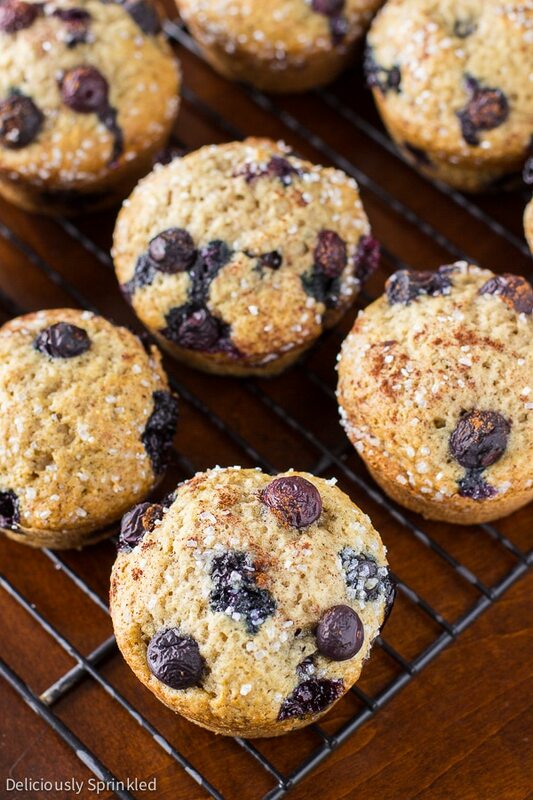 Such gorgeous muffins, Jenn – I wish I was going to wake up to these tomorrow morning! I always crave carbs with smoothies! Muffins, scones, cookies (oops…), you name it. I hope you’re staying warm!! I could never live in a place that snowed, let alone got to be that cold. Sending lots of warm thoughts your way! 🙂 Pinned! These muffins look yummy! I totally agree with you that buttermilk is so important to make them tender. What a great flavor combo! And oh so pretty! Ill have to try them asap! Blueberry muffins are my very favorite things, and these are some of the most beautiful muffins I’ve ever seen! GREAT post! These muffins look incredible! Can’t wait to give this recipe a try. Oh lordy, I agree…its been wayyyy too cold! But I can see many mornings coming up with these muffins! Muffins are one of favorite weekend treats! Great recipe to try!! Oh my goodness, y’all’s weather sounds terrifying! I don’t know if I’ve ever been in -1 degree weather before… and I’d definitely want some comfort food because of it! These muffins are absolutely gorgeous, and I bet they’re the perfect fix for a weekend treat… or a weekday treat when the weather is just really THAT gross. Thanks for sharing! -1 for a high? Oh my! 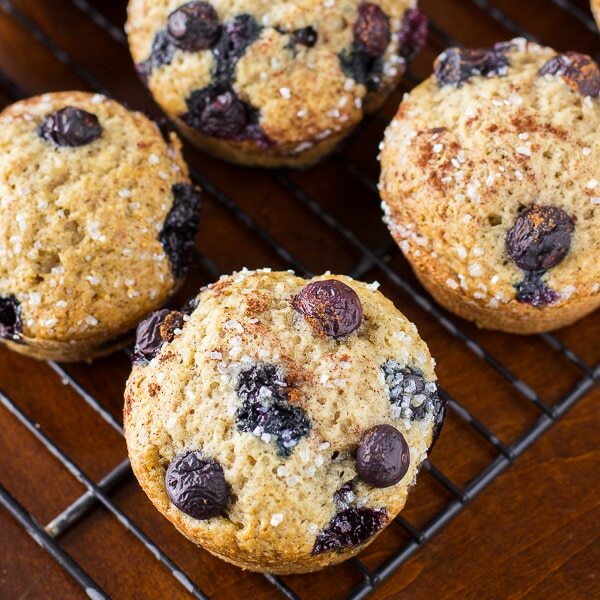 These muffins would be perfect for warming up! I wish I had one to get me through this afternoon! They look so good! These muffins are GORGEOUS!! I could use one to go with my coffee right now!